These photos are too cool not to post. 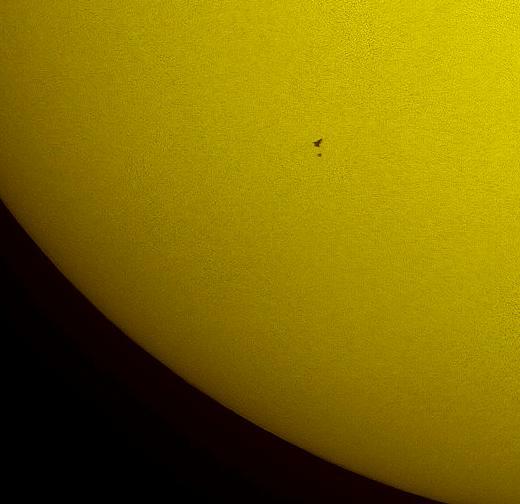 In this tightly cropped image, the NASA space shuttle Atlantis is seen in silhouette during solar transit, Tuesday, May 12, 2009, from Florida. This image was made before Atlantis and the crew of STS-125 had grappled the Hubble Space Telescope. 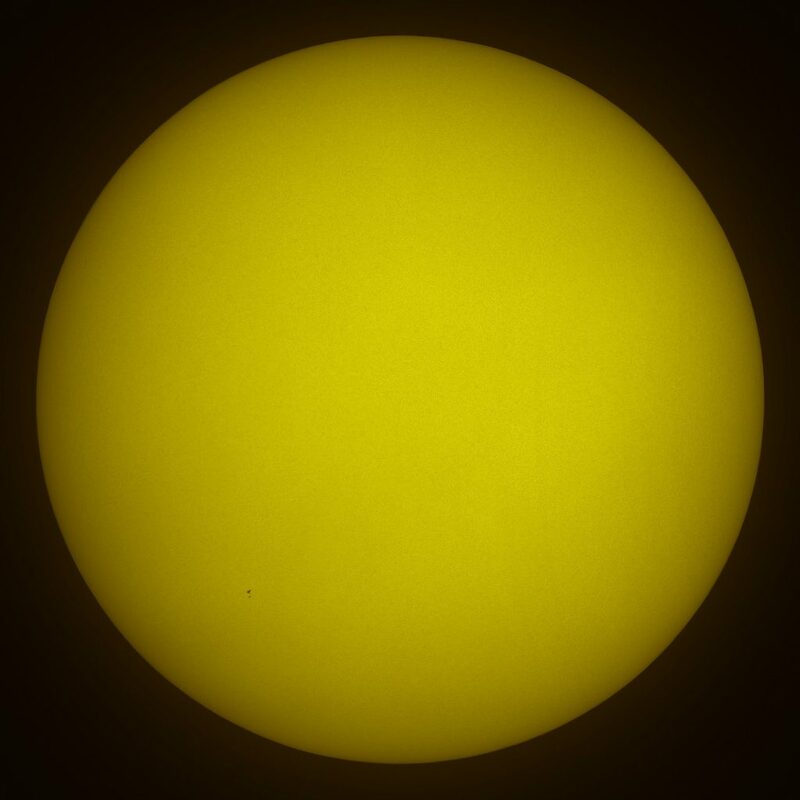 Photo Credit: (NASA/Thierry Legault). Originally uploaded by NASA HQ Photos. 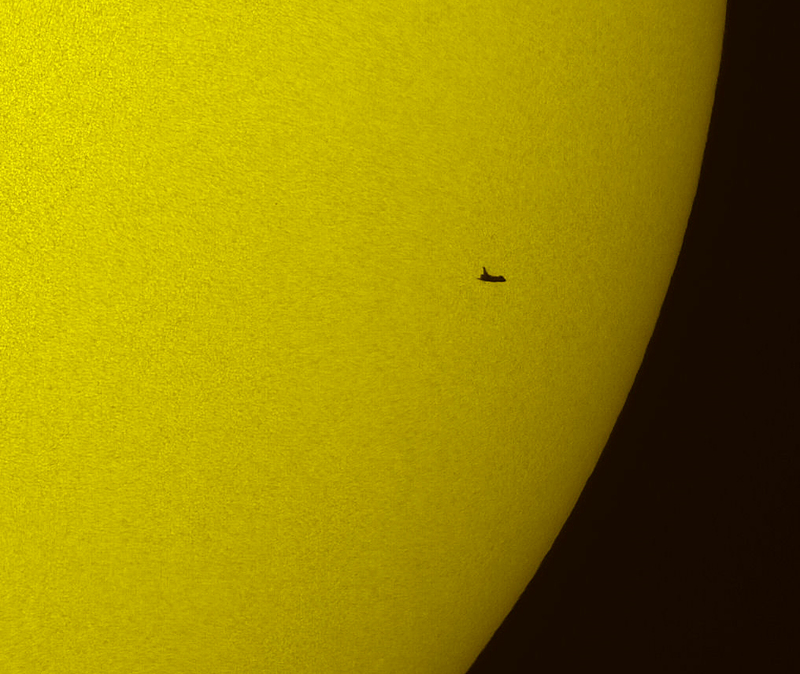 STS-125 Atlantis Solar Transit (200905120002HQ). 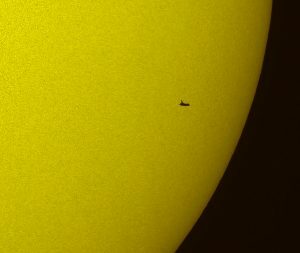 In this tightly cropped image, the NASA space shuttle Atlantis is seen in silhouette during solar transit, Tuesday, May 12, 2009, from Florida. This image was made before Atlantis and the crew of STS-125 had grappled the Hubble Space Telescope. Photo Credit: (NASA/Thierry Legault). Click to see larger. Above photo, uncropped. Click to see larger.